The old Misadventures project is moving along – as fast as an old man that walks like a penguin can go. 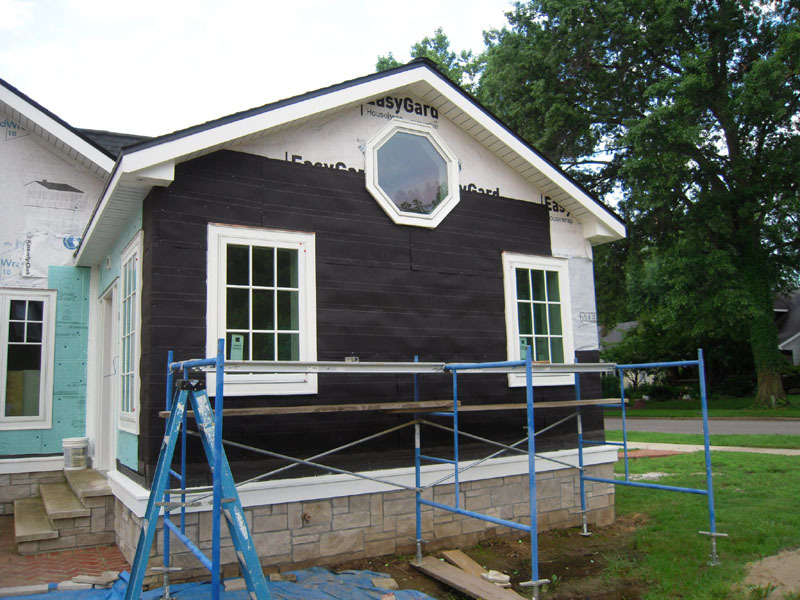 The siding was supposed to be done last Fall, but that didn’t happen. I’m determined to finish it this year before the snow shows up – fingers crossed. First up – the corner trim. There’s only one inside corner on the house where siding meets siding – the others are stone to siding. 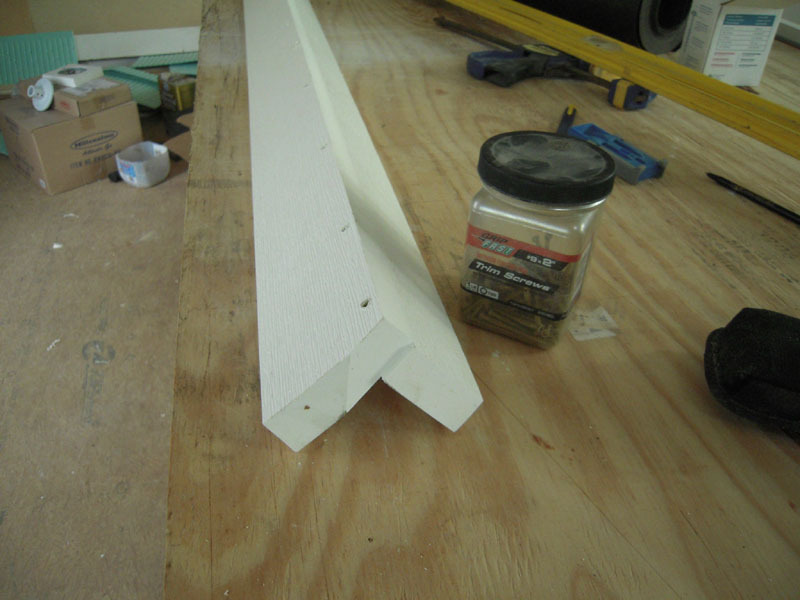 I’ve made a corner trim piece from 5/4 (1″ thick) Azek stock. I put it together with PVC glue and exterior trim head screws. The trim piece was screwed in the corner with cortex screws on top of the rain screen. One problem that having no plan is that mistakes happen. 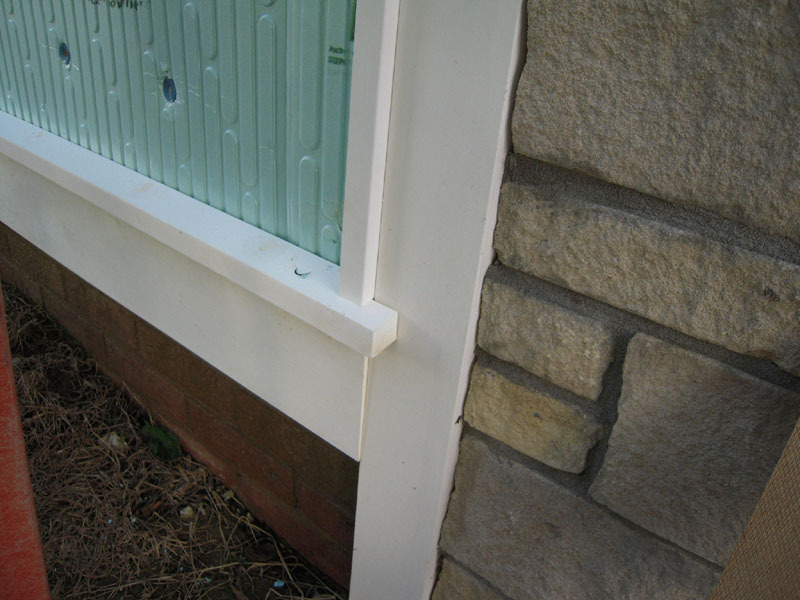 The problem here is that the 5/4 trim stock was put in place next to the stone when it was installed. This made it too thin to cover the edge of the siding because of the thickness of the rain screen. The solution was to add another piece of stock to build up the width. 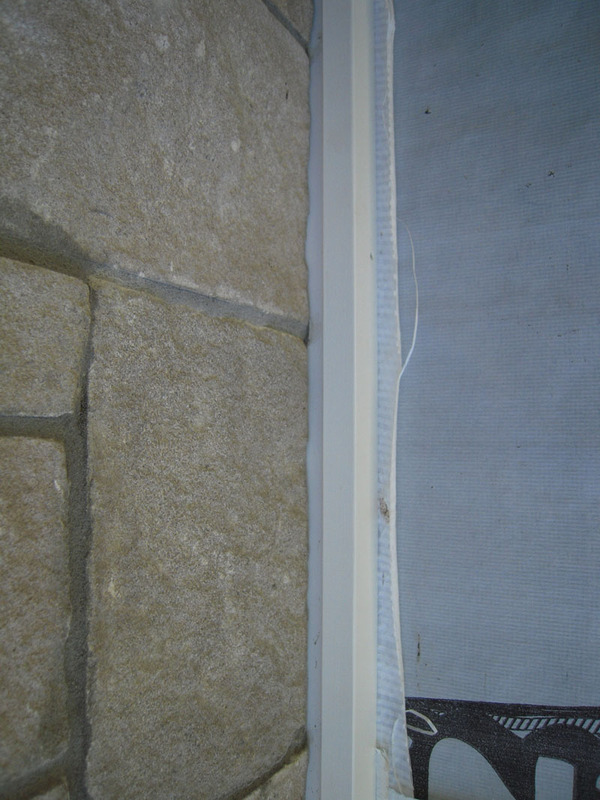 The same trim piece was added to the stone junctures with siding. The 30 pound asphalt felt is continued around the house over the old house wrap. 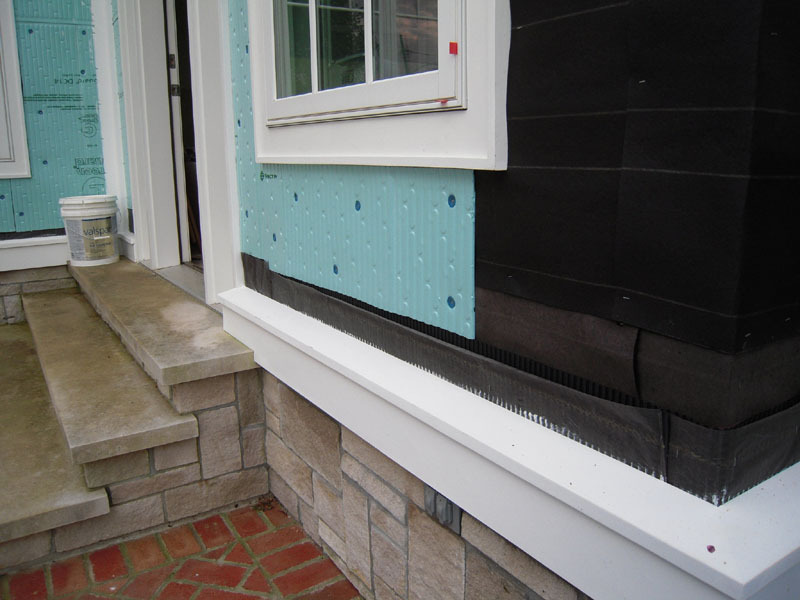 The GreenGuard rain screen is attached with plastic cap nails. It is butted up against the black drainage mat to allow moisture to drain into the weeps embedded in the stone. 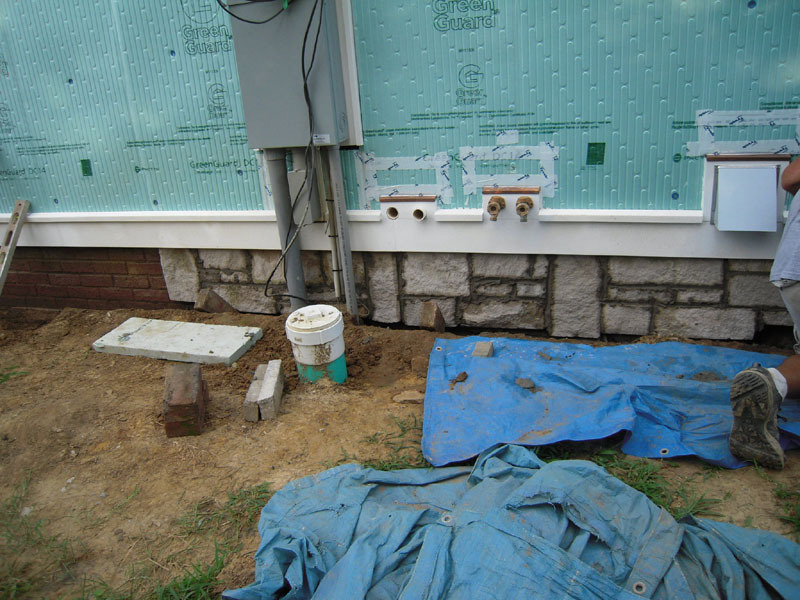 I had enough limestone left over so that I could cover the old brick foundation. The start of siding – finally. I’m using HardiePlank lap siding. This is a cement-based product. I’m using the smooth finish – not the wood-grain texture, as this is what would have been originally used. I’m using a 6″ reveal, so the total height of each piece is 7 1/4″. They come is 12′ lengths. 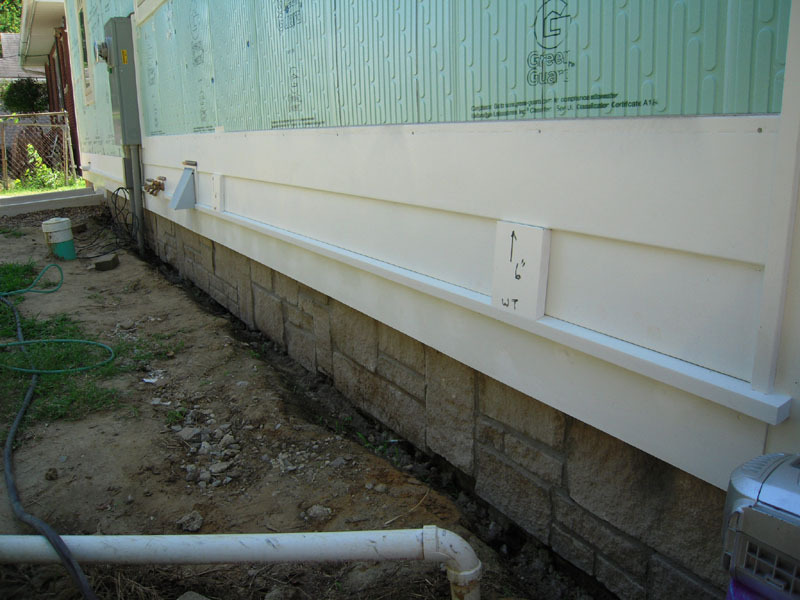 You are required to use a 1 1/4″ spacer (kicker) on the bottom of the 1st course, to keep the angle of the siding the same. 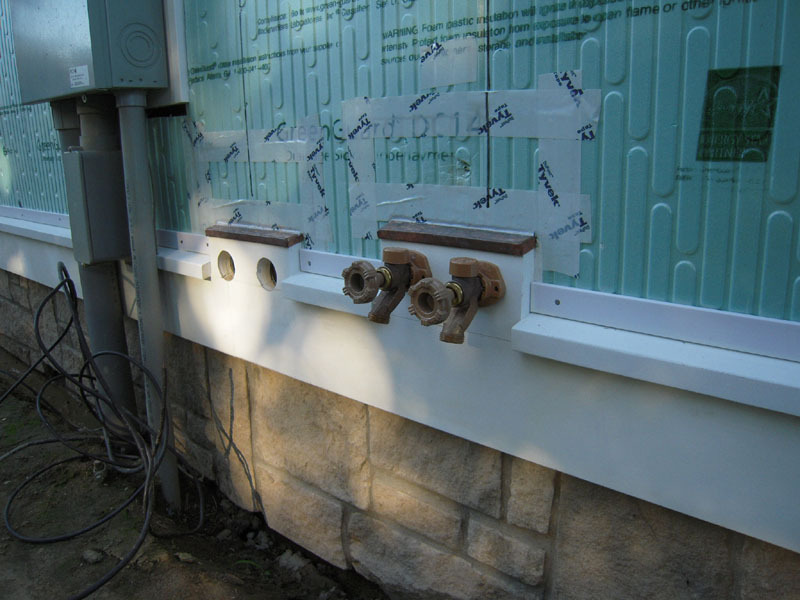 I used a 5/16″ thick piece of PVC trim, you can use a strip of the siding for this spacer, but I though the PVC would be waterproof. . The Hardie siding was notched with a diamond blade in an angle grinder. 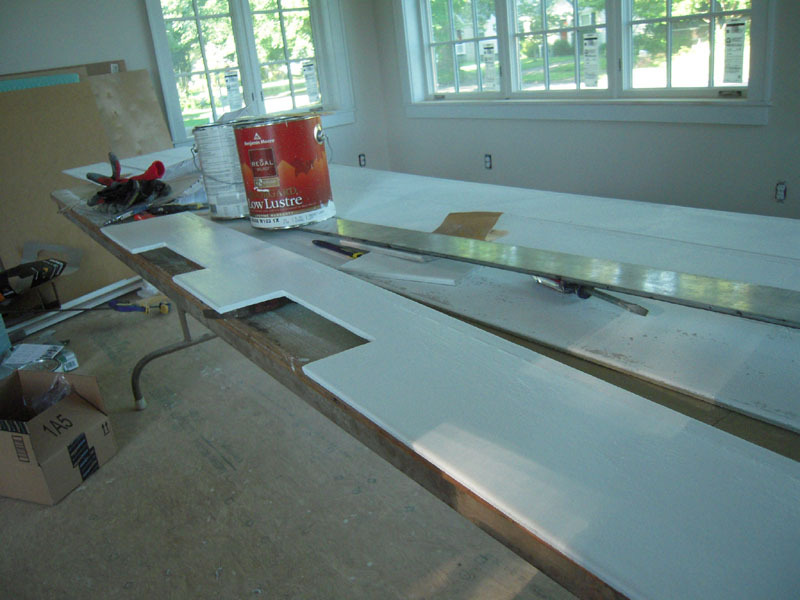 All cut edges are sealed with the same paint. The color is BM White Heron Low Luster. More on painting later. The good thing is that the water table is level and makes putting on the first course easy. The second course required spacer blocks that kept the reveal at 6″. 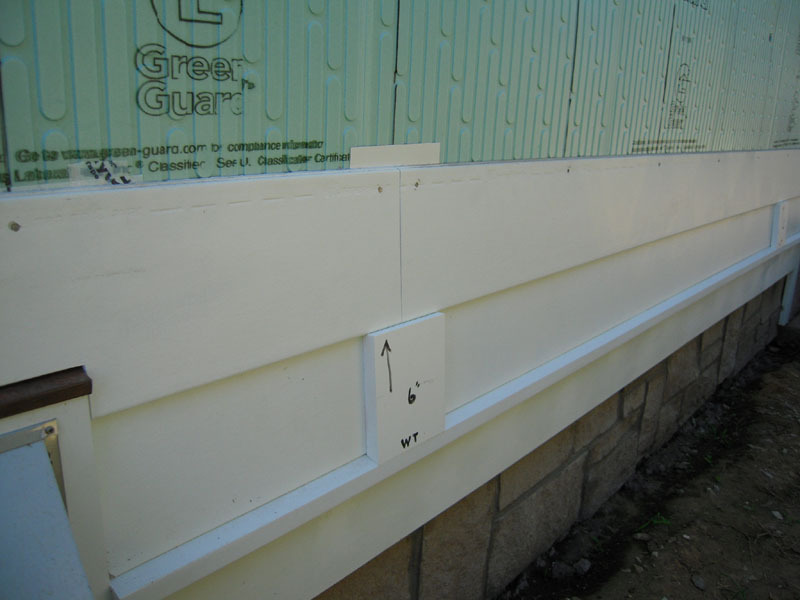 The stud locations were marked on the rain screen and the siding nailed into the studs. The siding is attached with stainless steel 2″ ring shank siding nails. I’m using a Bostitch Coil Siding Nailer. 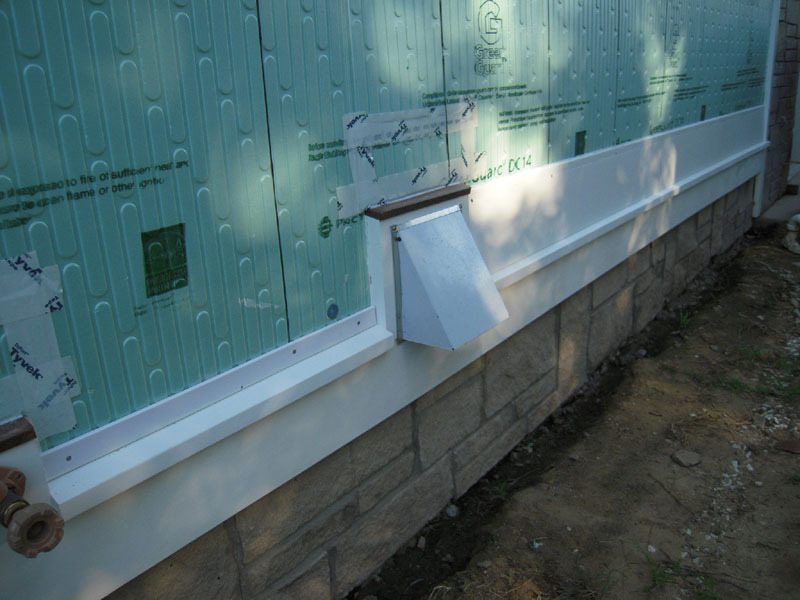 At each siding joint a flashing is required. I used the recommended coated aluminum coil stock behind each joint. You must use a coated aluminum material, as raw aluminum will react with the cement in the siding. 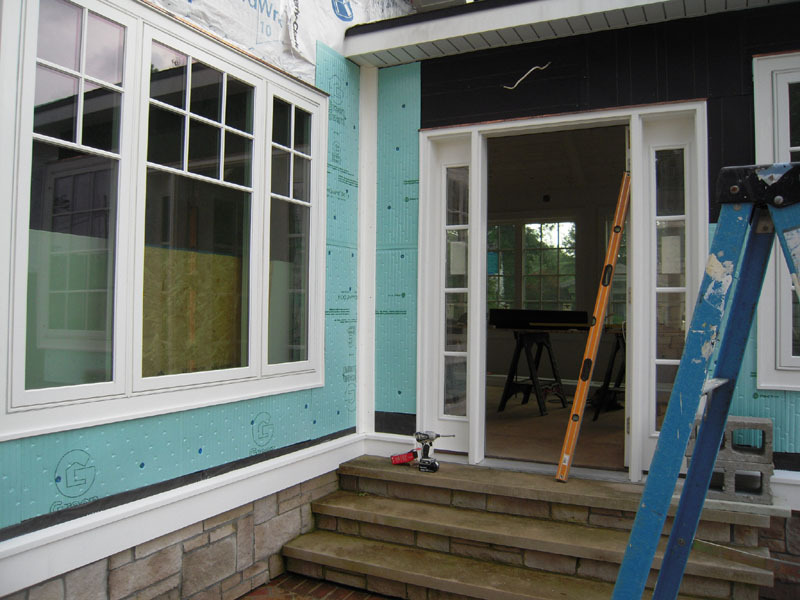 This entry was posted in Exterior Remodeling, Siding and tagged 1930's bungalow, DIY Home, Hardie Cement siding, Hardie siding, Home Renovation, old house renovation, rain screen, Remodeling, siding joint flashing, siding nails by curt. Bookmark the permalink. Curt, you know these things.. can we use copper nails with sheet zinc for our worktops?